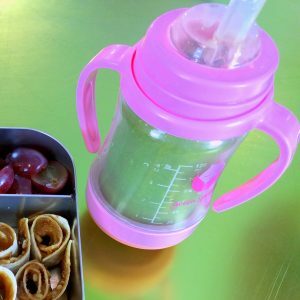 It’s important to vary the veggies and fruit your toddler is eating to make sure they get all the various vitamins and minerals they need. Kale is a great thing for them to have. It scores a perfect 1000 on the ANDI scale, which is the Aggregate Nutrient Density Index – basically a measure of how much nutrition per calorie something has. One Orange has over 100% of your daily requirement of Vitamin C, as well as a ton of antioxidants and anti-inflammatory compounds. 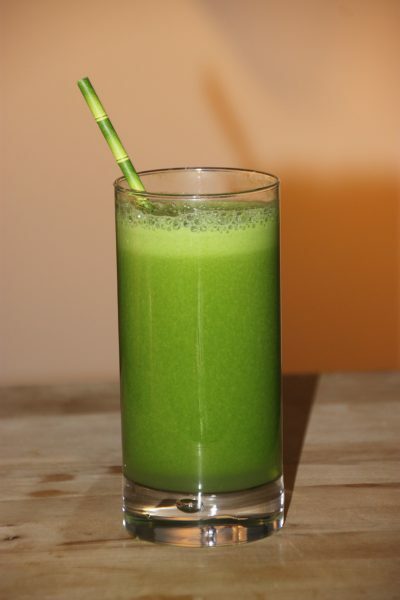 Using it in a smoothie like this, instead of drinking just the juice, also keeps the fiber intact. If you want more recipes and toddler lunch & snack ideas, be sure to sign up for my FREE newsletter and and be sure to like me on Facebook, Instagram and my YouTube channel for more cooking demos!